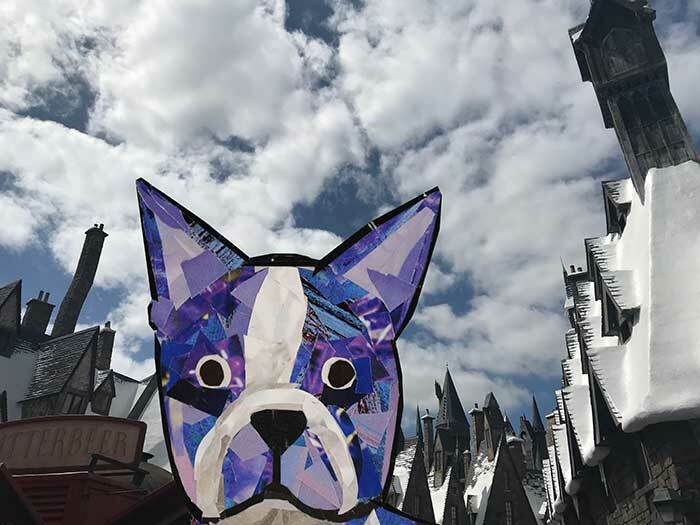 Bosty is actually a pretty big fan of the Harry Potter books by J.K. Rowling, so the other day he went on a weekend trip to Harry Potter World in Orlando, Florida. 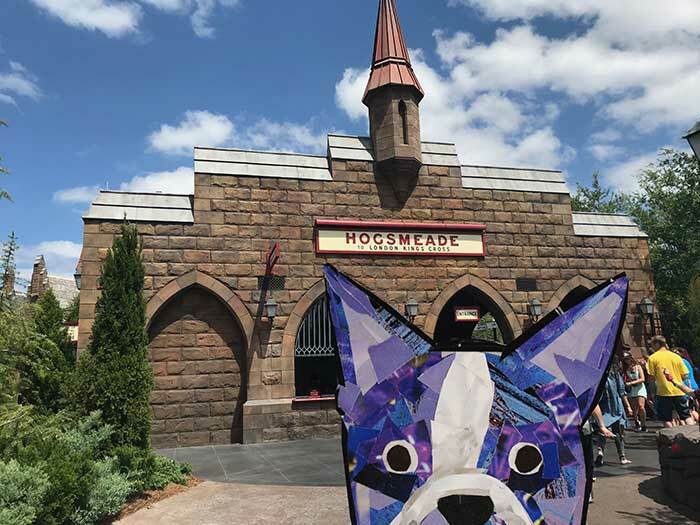 He loved visiting their recreation of Hogsmeade. 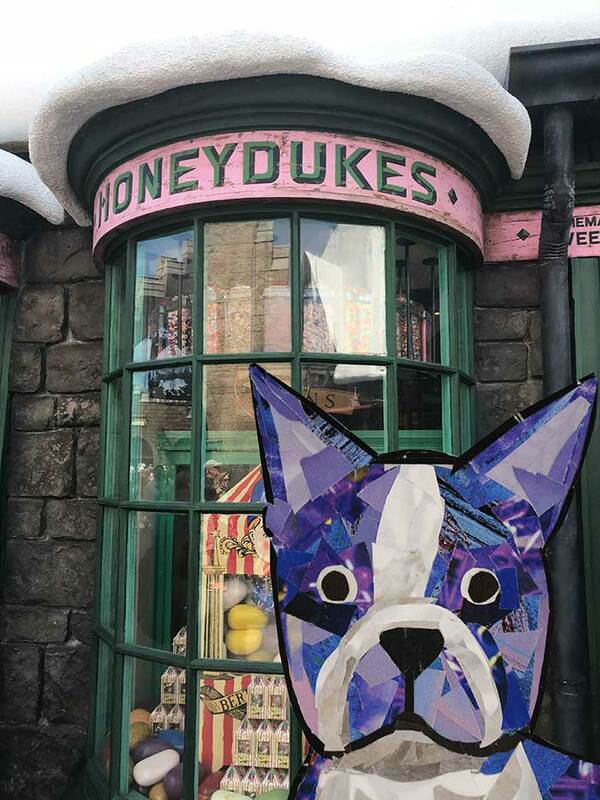 And had to stop by Honeydukes to get some chocolate frogs. 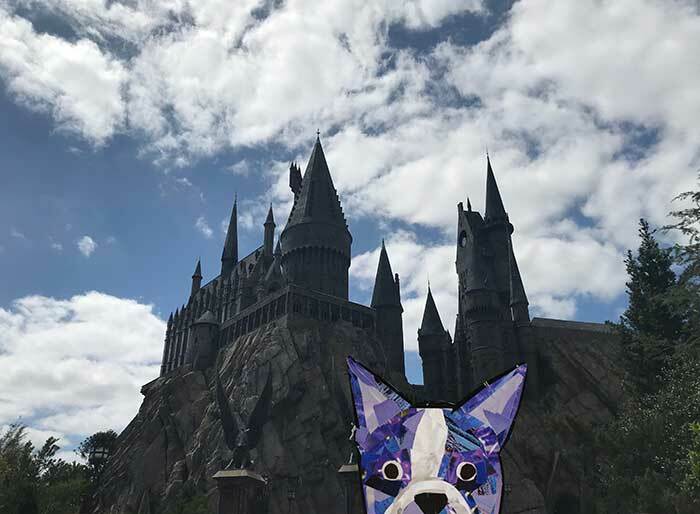 Next, he wanted to go to Hogwarts to wait in line for one of the Harry Potter themed rides. Afterwards, we headed to the Hogsmeade train station to catch the Hogwarts Express to the other end of the theme park. 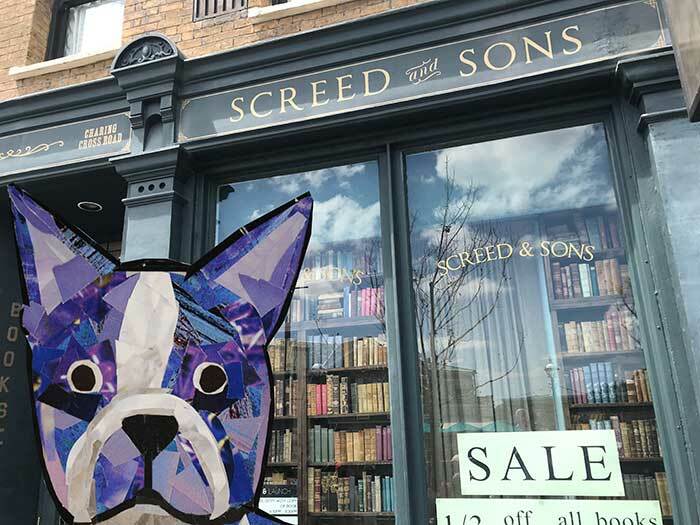 He really enjoyed all the recreated storefronts like Screed and Sons. And what do you know? 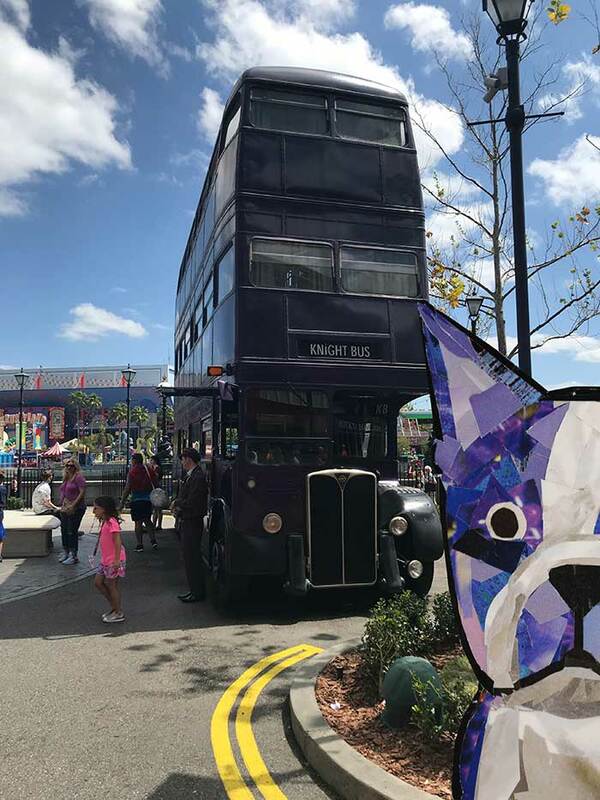 They even had the Knight Bus that visitors could pose in front of! 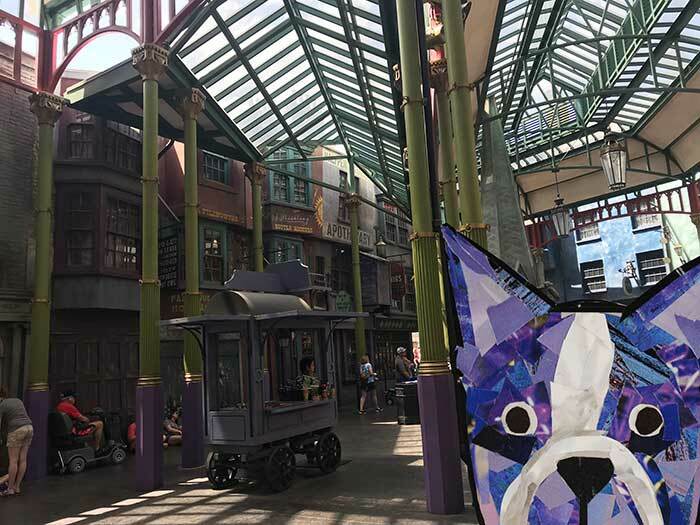 Before ending the day of wandering all around the park and waiting in line for different rides, Bosty wanted to take a look at their recreation of Diagon Alley. One of his favorite parts of Diagon Alley, was getting to see the dragon that actually breathed fire every few minutes. 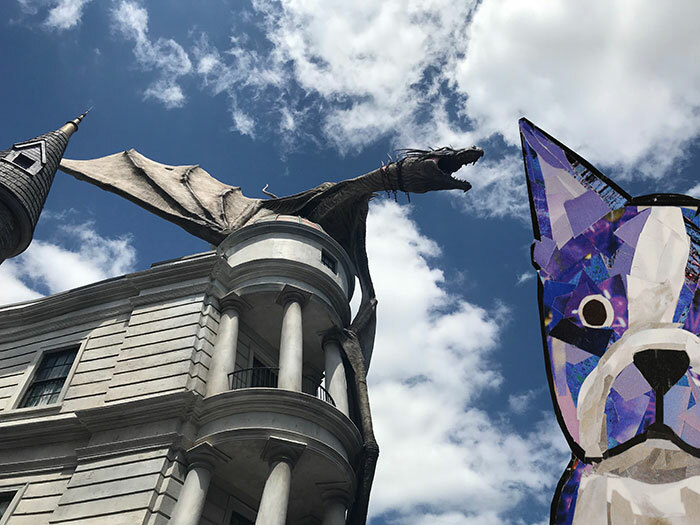 It was definitely a fun day, filled with strolling by beautiful recreations of settings from the books, popping into magical shops, and getting a quick thrill from theme park rides.